The JUGS Super Softball™ Pitching Machine’s higher speed range is designed for the advanced player whose skills demand practicing at game-like speeds. 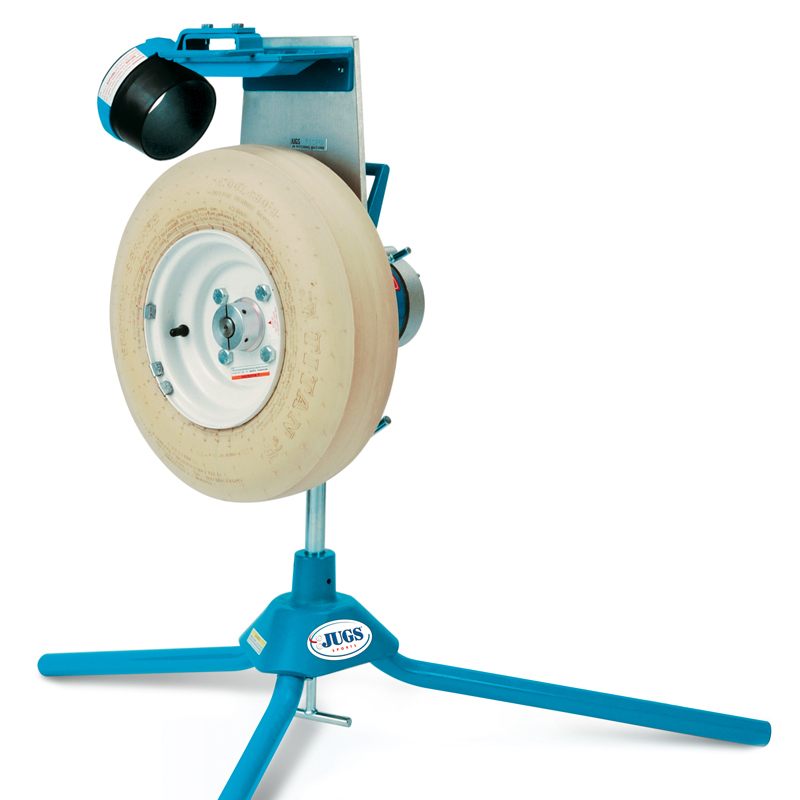 The JUGS Super Softball™ Pitching Machine throws risers, fastballs and drops up to 112 kph. Portable and easy to move and set up. One person can remove the legs and load the JUGS into the trunk of a car. Simply Tilt and Roll: Moving your JUGS Super Softball Machine is easy with the JUGS Softball Transport Cart option. Once your machine is attached to the Transport Cart’s base, simply insert the handle, tilt and roll. 5-year guarantee. Speed Range: 21-112 kph. Recommended age: High School-Adult. Patented “always see the ball”™ delivery system and digital readout display. Portable and easy to move and set up. Weighs just 35 kgs. One person can remove the legs and load the JUGS in the boot of a car. JUGS Super Softball Pitching Machine comes standard with a 12″ chute (11″ chute sold separately).